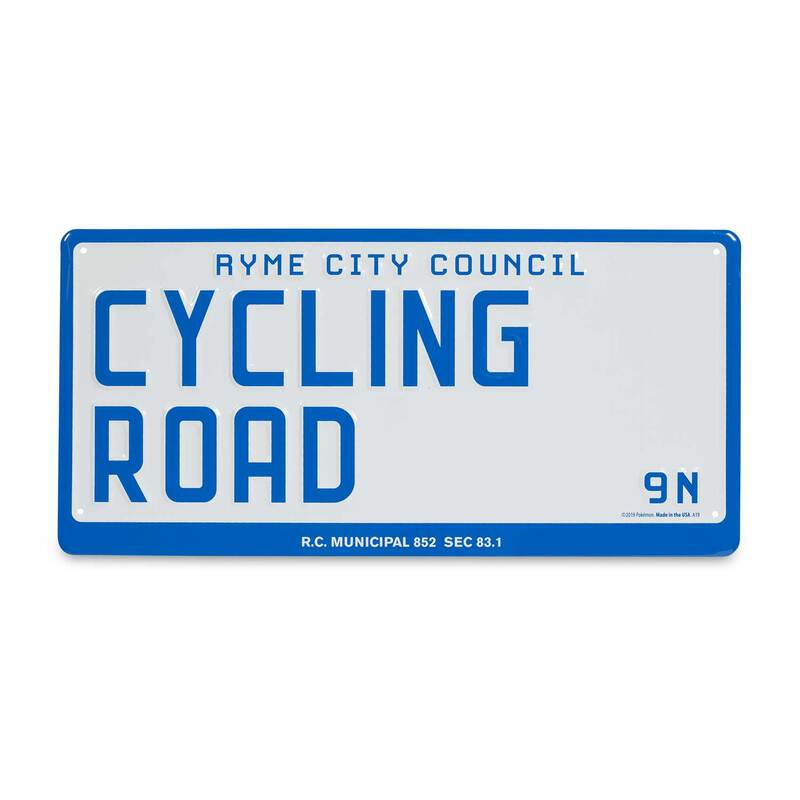 Mark your game space or your cycling shed with this metal road sign that looks straight out of Ryme City! Featuring big, bold lettering, this décor celebrating the Pokémon world is easy to hang on any wall or door. There's a time and a place for everything—and this sign lets you know the time and place are right for cycling!